Katherine Ruth Fair was born in Spencer, Virginia on November 10, 1915 to James W. Fair and Mary Ruth Via Fair. 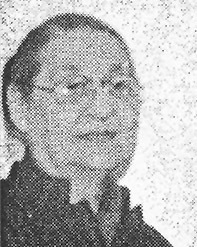 She married Robert Walton Morris on December 30, 1939 in Martinsville, where, for 15 years, she served as Commissioner of Revenue. A resident of Columbus, Wisconsin for 52 years, she and her husband owned Columbus Furnishings. Active in her community, she was a founding member of the Business and Professional Women and a member of Olivet Congregational U.C.C. She was also a member of the National Society of the Daughters of the American Revolution, Colonial Dames, and the National Society Magna Charta Dames. Ruth Fair Morris died on November 9, 2002 at the age of 87, knowing that her many years of genealogical research and her treasured family collection were both housed at the Bassett Historical Center in the county of her childhood home, and in the same area that her ancestors had come to settle. There are 22 volumes of family genealogy in the Morris Collection, plus family files that include years of her correspondence. Catherine "Kitty" Koger was born May 19, 1845, the youngest of seven children of Joseph and Ruth Slaughter Koger. Three of her brothers served in the 24th Virginia Cavalry during the Civil War. Two of these men died in the Civil War, Daniel King Koger and James Madison Koger. The other brother, William Lee Koger, returned to his home in Patrick county in 1865. The two quilts on display were made by Kitty in 1858 and quilted with cotton grown on the Koger Farm in Patrick County. Her deer skin riding gloves, stitched from silk made from silk worms raised on the Koger Farm, are also on display (photo #3 below). 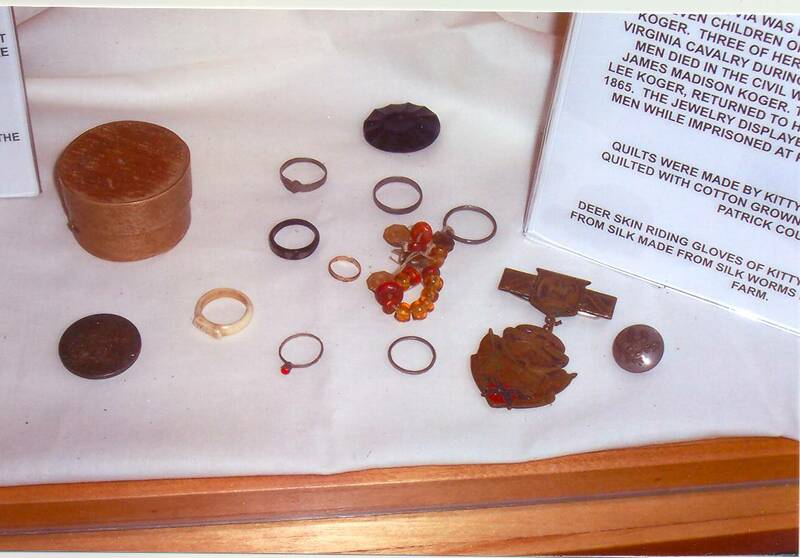 The most treasured item in the collection is the Jacob Koger Basket (photo #3 above). Hans Jacob Koger, born in Baden Germany on July 24, 1710, sailed with his brother, Michael, from Deal, England on the ship, Morton House, on June 15, 1728. They arrived at the Port of Philadelphia on August 24, 1728. With him, Jacob brought this basket filled with silver, some say pewter. 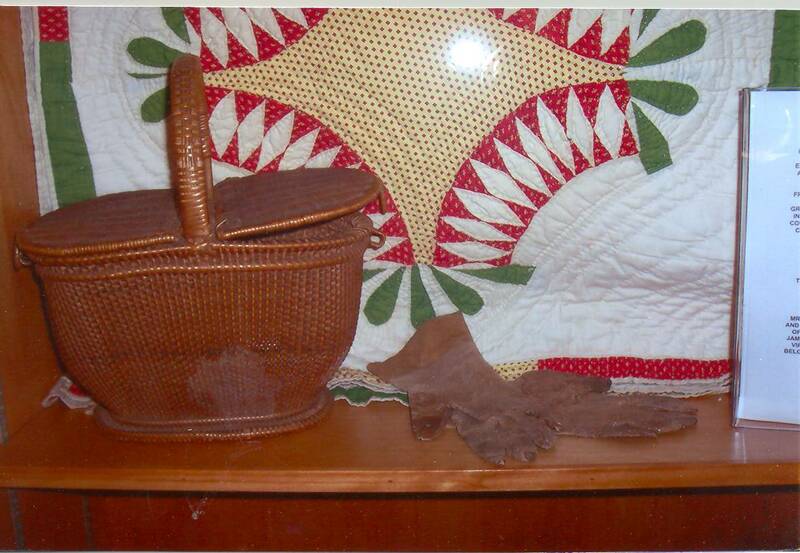 The basket was passed down from Jacob to his son, Henry Koger, to his grandson, Joseph Koger. 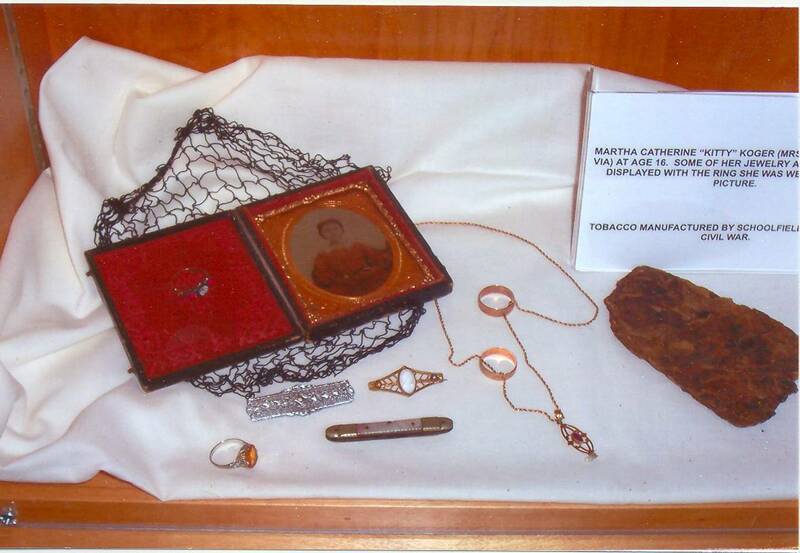 Joseph Koger gave it to his daughter, Jacob's great granddaughter, Martha Catherine "Kitty" Koger Via. In 1762 Jacob Koger and his family moved to Virginia, settling in Halifax County in an area now on the Patrick and Henry County line. Jacob Koger died in Henry County on June 13, 1783 leaving many descendants here, as well as across the United States. His story and his basket are treasured by all of his descendants.